There are cheap homes and then there are homes that are of a higher value in most neighborhoods in the U.S. New investors can make big mistakes when buying a cheap property that is later found to have issues. 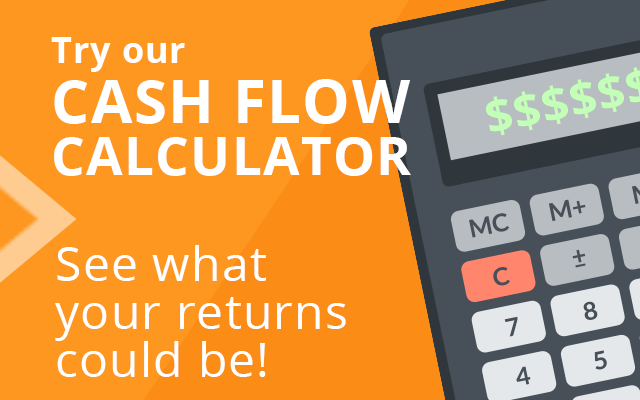 Professional investors know how to find the most profitable properties using simple criteria. The video on this page provides more information about valuating real estate over $90K that can apply to most housing markets. The average home that sells for under $30,000 might be only one to two bedrooms and be older than 30 years. While these homes can be profitable, many individuals and families are looking into the higher end homes for sale in growing neighborhoods. The Jacksonville market continues to supply homes of all valuations and homes nearing the $100K mark are always good choices. Smaller homes that sell for lower prices can sometimes have negative factors for investors. Homes might be located in areas that are not poised for future growth due to economic difficulties. A good cap rate for a property can be one factor to determining how successful a rental home will be for a buyer. Property buyers who are ready to cash in on housing market returns can often do a lot of leg work. The ability to buy homes that are discounted from the market value and that already have tenants paying rent is offered to clients of JWB. The advantages of buying real estate that is professionally managed include reduced expenses compared to being a landlord getting swamped with day-to-day property management. All homes for sale in Florida that appear in videos or on various sections of this website receive professional management. 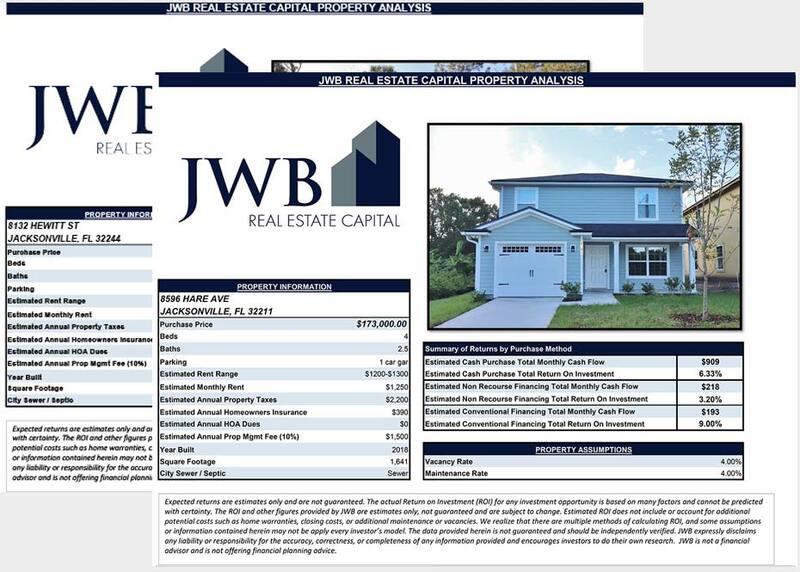 The turnkey solutions that are helping investing clients to prosper offered by JWB are explained in the PDF guide that is available for review on each page of this website.